The world’s biggest hackathon was held in the Udaipur at Techno India NJR Institute under Digital India campaign of Indian Government. It was an ‘36 hours’ continuous quest to find solutions to various social issues in India. 10,000 participants across India worked together in order to solve a list of tribulations present in the country. The Smart India Hackathon 2017 was anticipated to promote innovation and out-of-the-box thinking in young minds, especially engineering students. For those you are unaware of the term hackathon, it is a design sprint-like event in which computer programmers and others collaborate on certain software projects. In this Smart India Hackathon, 584 teams, 10,000 engineering students participated and accumulated at 26 nodal centers across India. Techno India NJR Institute got the opportunity to be the Nodal center of Ministry Of Railway. 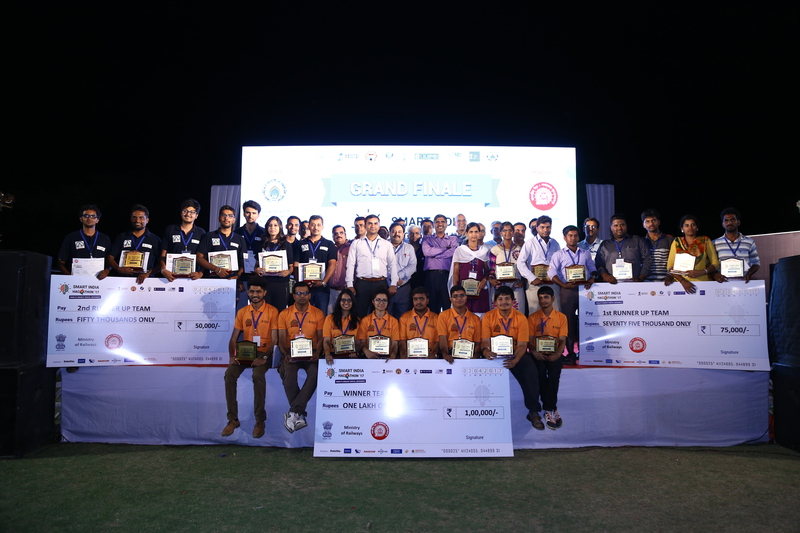 61 teams from the best of engineering colleges in India consisting of 484 students along with their 54 mentors worked at the campus non-stop for 36 hours. Around 60 teams along with their mentors reached the Techno Campus on the morning of 31st March 2017. The registration for the event began at 10 in the morning which continued till 3 pm. After that, a sightseeing of Udaipur was organized for all the participants of Smart India Hackathon 2017. 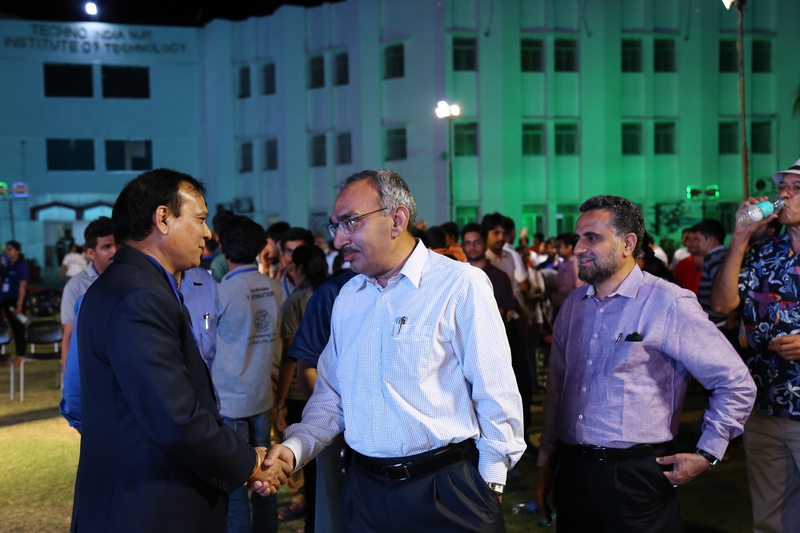 The event started on 1st April 2017 at 7:30 am at the campus and was followed by a video speech by the minister of HRD, Mr. Prakash Javadekar who announced the commencement of Smart India Hackathon 2017. The students also had a live interaction with the minister of railways, Mr. Suresh Prabhu. The whole day passed with the participants working in the labs. The judgment procedure started by 7:30 and lasted till 9:00 pm. 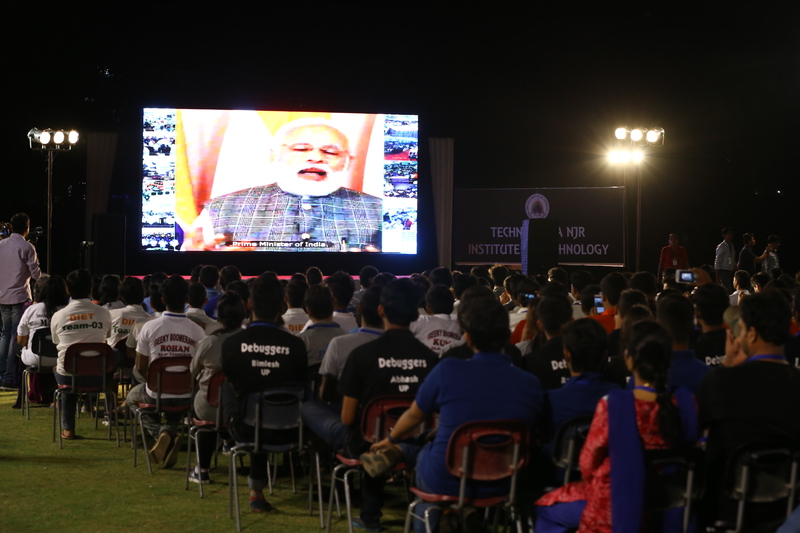 The biggest attraction of the hackathon was- Prime Minister Narendra Modi addressing thousands of aspiring innovators and programmers participating in Smart India Hackathon 2017 on Saturday 10:00 pm through video conferencing. 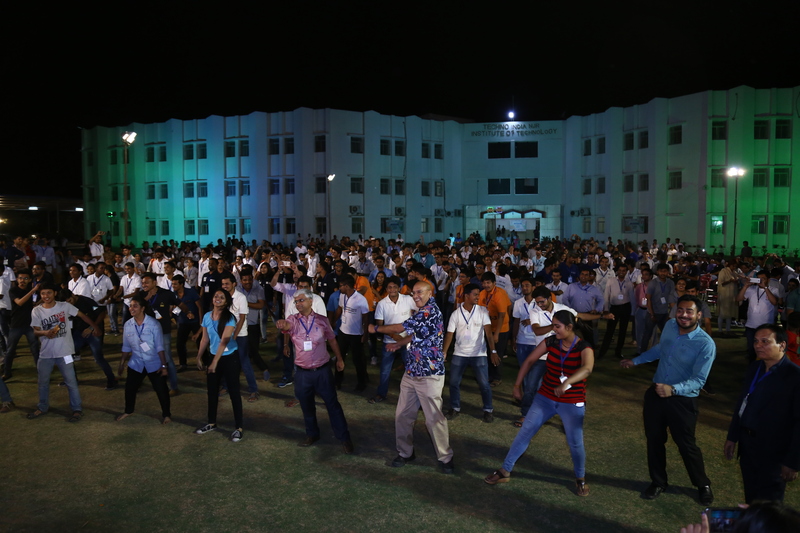 A Zumba dance performance for 15 minutes was conducted by the college in the campus itself which was followed by a 5 Minutes DJ party session. All the participants were awake all night and were working on their projects. The next day was started by a yoga session for the participants. After the second judging session at 9:00 in the morning on 2nd April, there was a final round in which 8 teams were selected from 64 teams and were asked to give the presentation of their projects. After which the winners were decided. This was followed by the price distribution, DJ party, and dinner. 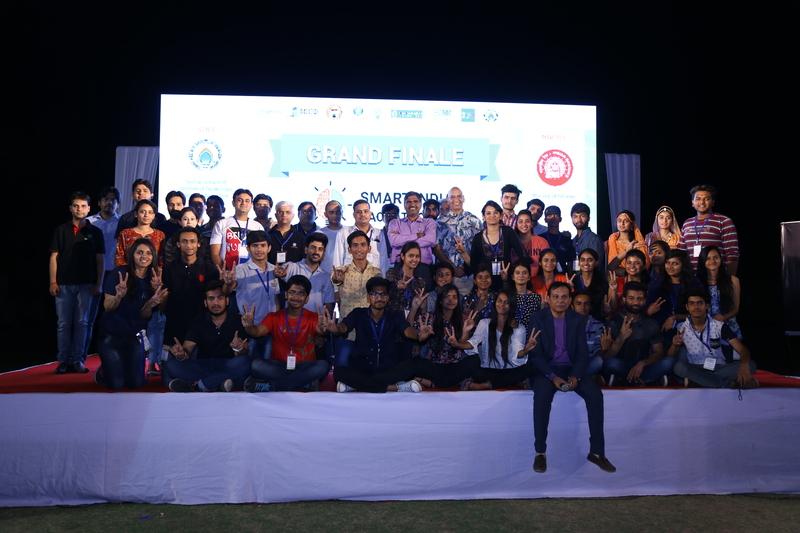 With this, the Smart India Hackathon 2017 came to an end with the official closing ceremony. The Winner of the Hackthon 2017 was the team ‘Veer-3’, the second position was grabbed by ‘Mac-1’ team and the third position was grabbed by the ‘Lenister’s’ team. Each of the winners was given a prize money, 1 lac, 75 thousand, and 50 thousand respectively. The fourth and the fifth runner-ups were given 10 thousand rupees each. The hackathon was centered on the problems of social importance acknowledged by 29 ministries and departments of the government. They identified 598 problems, which 7,531 teams of approximately 42,000 students responded to. Of them, 1,266 teams of 10,000 participants were shortlisted for the finale.